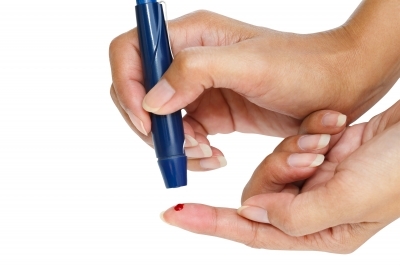 In honor of American Diabetes Month, this month’s blog posts will focus on Diabetes Mellitus. W.I.T.S. welcomes guest blogger Michelle Matte. Most of us are aware of diabetes as a common disease found in adults and children, and many of us know of a friend, co-worker or family member who has been diagnosed with the condition. Yet the cause of diabetes is rarely understood by the average individual. In November’s series of blogposts, we will attempt to break it down for you in terms you can grasp, in hopes of empowering you to help yourself and others combat this growing metabolic disorder. Diabetes Mellitus, the proper name for what we commonly refer to as diabetes, is defined by an unhealthy amount of circulating blood sugar that can lead to a plethora of undesirable degenerative symptoms, culminating in kidney failure. Symptoms of DM were first described 3000 years ago by the ancient Egyptians, and the word “diabetes” was first used to describe the condition by Araetus of Cappodocia, who lived from 81-133 AD. It was not until 1675 that British physician Thomas Willis added the word mellitus, meaning “honey sweet”, when he discovered that the blood and urine of patients exhibiting the condition had a sweet flavor. (Kudos to Willis for doing the taste test!) Willis also noted a high incidence of depression in diabetes patients. One hundred years later, in 1776, Matthew Dobson, another British physician, confirmed that the blood and urine of diabetes sufferers did in fact contain elevated levels of sugar, explaining their sweetness. Diabetes Mellitus manifests itself under two distinct sets of circumstances, leading to the categorical distinction between Type I DM and Type II DM. Type I diabetes is a congenital condition under which the pancreas either underproduces or fails to produce insulin sufficient to aid in the transport of glucose to the body’s cells, where it can be used for energy. Put simply, glucose is the end product of carbohydrate foods. You can think of insulin as the key that unlocks the door to the cells, allowing glucose to enter. Type I diabetics do not produce sufficient insulin to facilitate the process of glucose metabolism. Type I diabetics must inject insulin on a regular basis to help in that process. Type II diabetes is a chronic condition that escalates over time. At one time referred to as “Adult Onset Diabetes”, Type II rarely manifested in children and younger adults, and was considered to be an age-related disorder. Today, Type II diabetes is seen with alarming frequency in children and young adults. Simply explained, Type II diabetes manifests when carbohydrates are consumed in amounts that exceed the cell’s requirements. When large doses of sugar are consumed, the brain sends a message to the pancreas to produce more insulin to transport glucose to the cells. However, the capacity of the cells to store glucose is limited. If the cells are already full to capacity, insulin cannot do its job. Over time, the cells become insulin resistant, and sugar remains in the circulatory system until it can be eliminated via the kidneys. Insulin resistance is directly linked to physical inactivity and excess carbohydrate consumption. Continually over-consuming sugary processed foods and drinks is the catalyst for insulin resistance. Physical activity depletes cellular glucose stores, making room in the cells to store more, thus reducing insulin resistance. In 1997, an estimated 4.5 percent of the population in the United States had diabetes. By 2012, that number had escalated to 9.3 percent, affecting over 29 million Americans. It should not surprise you that these figures correlate with a rise in obesity over the same time period. That is because diabetes and obesity share common roots in their onset. Both are linked to sedentary lifestyle and imbalanced nutrition. 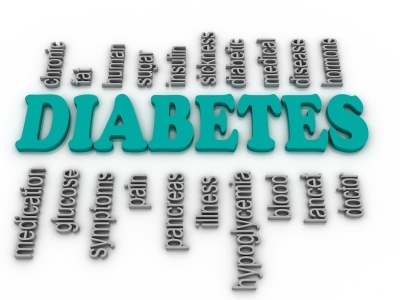 We will delve deeper into understanding diabetes throughout the month of November. Topics will include Managing Type I Diabetes During Exercise, Reversing Insulin Resistance, Diabetes Programming Tips for Fitness Professionals, and more. We hope you will join us in fighting diabetes through education and behavioral wellness. Stang J, Story M (eds) Guidelines for Adolescent Nutrition Services (2005). American Diabetes Association: Statistics About Diabetes. Centers for Disease Control and Prevention: Maps in Trends in Diagnosed Diabetes and Obesity. Saudi Medical Journal, April 2002: History of Diabetes Mellitus. American Diabetes Association: Diabetes Basics.